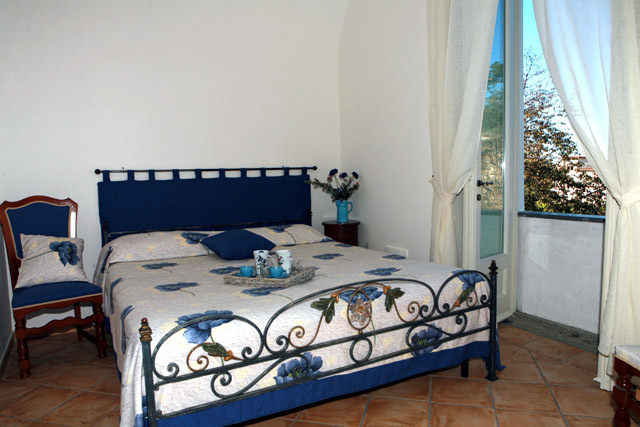 Double room with breakfast € 110.00 per night. 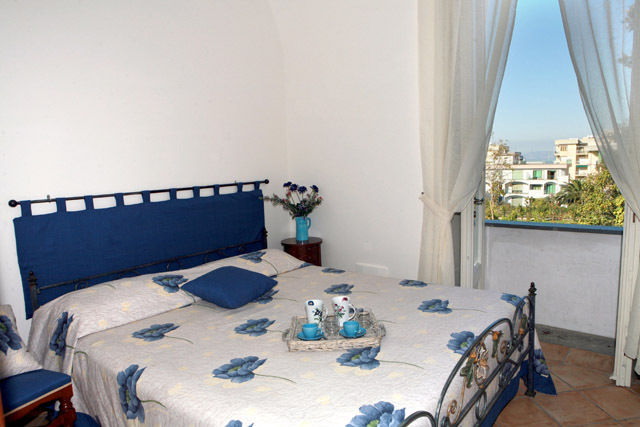 August double room with breakfast € 120.00 per night. Possibility to add an extra bed for € 20.00 (including breakfast). 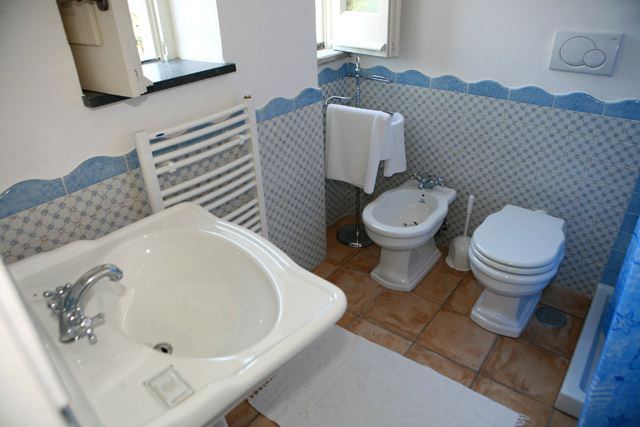 The rooms have a private bathroom with a shower and a hairdryer. Check in: FROM 12 TO 19 (all those who want to enter after 19 must ask for it at the time of booking) we do not accept check in after 9pm. The double rooms have a view of the orange and lemon garden, are equipped with a fridge (not for personal use) and have the use of a safe. Room cleaning every day (if it is left before 11.00). It is advisable not to consume products in the room. Change of towels every three days. Change of bed linen every week. Among the available services we mention: WIFI: available and free only in outdoor areas. 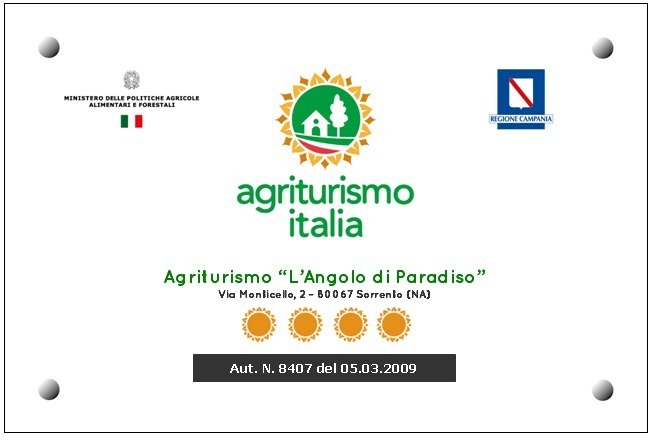 Parking (€ 5 per day, for medium-sized cars), possibility to enjoy a corner of the garden. The Agriturismo L’Angolo di Paradiso is closed during the winter months.